Sweet Corn is full of both insoluble and soluble fiber, but contains more of the insoluble type. Insoluble fiber helps keep the digestive track moving and healthy. Did you know that sweet corn is considered a whole grain and not a vegetable? 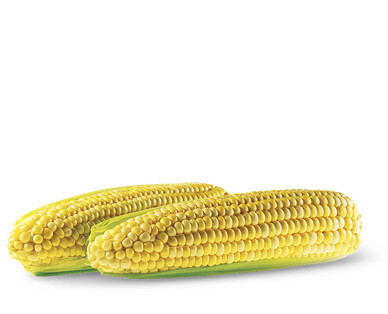 Sweet Corn is naturally free of fat and saturated fat. Sweet Corn is also a good source of vitamin C.
Pick sweet corn that has green husks, fresh silks and tight rows of kernels.